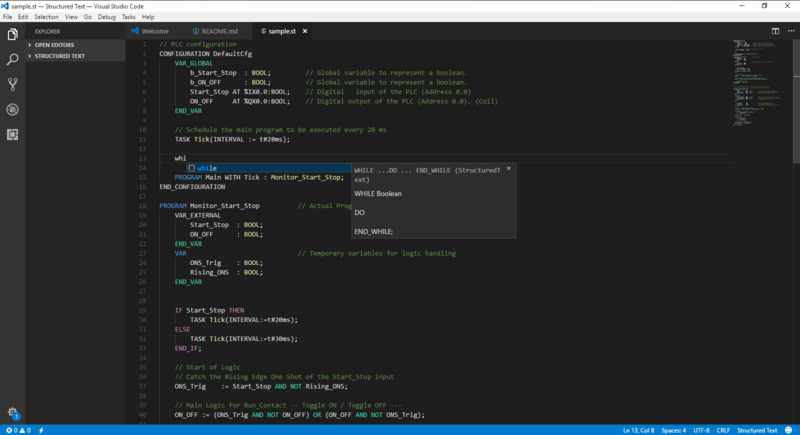 Visual Studio Code>Programming Languages>Structured Text PLCsNew to Visual Studio Code? Get it now. write your code and see how beautiful it will look like.